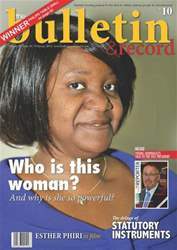 This months issue features an insight into Zambias' Investigator General, Caroline Sokoni, 'the people's champion'. We look at the film of Esther Phiri, our undefeated world boxing champion. 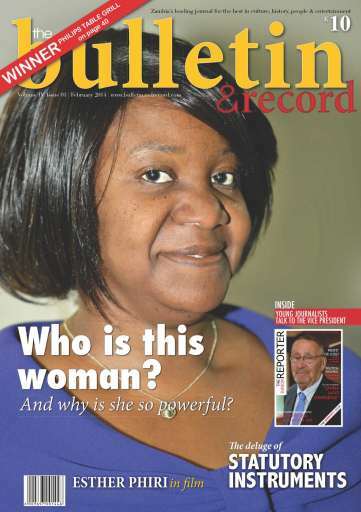 This month also features the Junior Reporter, with the theme 'Identity'. In this JR the Vice President Guy Scott thinks Zambia lacks confidence. Read through Politics, Art, Fashion, Football - see what Zambia has to say this month!